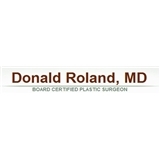 Donald Roland, MD PC (New York) - Book Appointment Online! Dr. Roland provides his patients with a "down-to-earth" approach to cosmetic enhancement surgery and anti-aging procedures. Patients are consulted in a soothing office environment where Dr. Roland addresses their questions and concerns. The Doctor's staff will help make all aspects of the process as comfortable and gratifying as possible. Many treatments are performed at Dr. Roland's 52 East 72nd Street and 80 Wall Street offices; more elaborate surgeries are performed in Manhattan's desirable hospitals and surgicenters. Financing cosmetic enhancement can be arranged through our Manhattan office. I loved the staff! Very warm and professional. They made you feel at ease and answered any concerns you had without making you feel like you were asking a stupid question. I would highly recommend him.